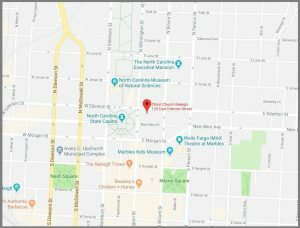 Weekend parking – free weekend parking available in the N.C. Museum/Government Center lot (opposite side of Edenton Street). Handicap accessible parking – available on Wilmington Street each Sunday morning. Visit our Accessibility page for additional details. Weekday parking – available in the Christ Church lot (accessible from Blount Street and Edenton Street). 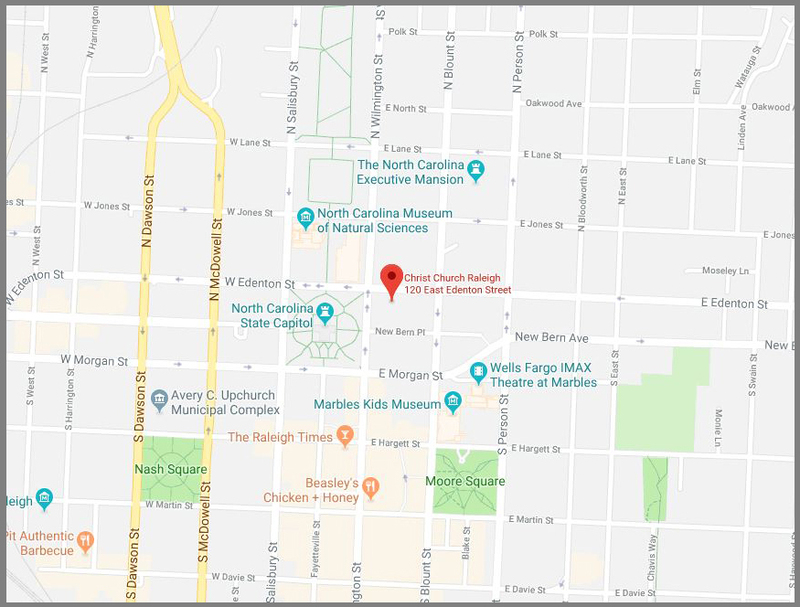 Metered parking is available through downtown Raleigh, and a number of city-owned lots and garages are in close proximity to Christ Church. A full list of downtown parking is available here, courtesy of the Downtown Raleigh Alliance.